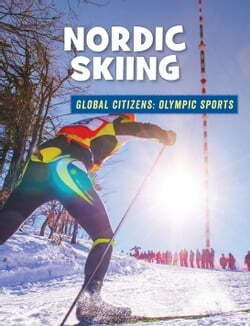 Using the new C3 Framework for Social Studies Standards, Nordic Skiing in the Global Citizens: Olympic Sports series explores the sport through the lenses of History, Geography, Civics, and Economics. Text and photos look at the history, basic philosophies, and geography of nordic skiing. Content... read more includes information on multiple Olympic events in the category. As they read, students will develop questions about the text, and use evidence from a variety of sources in order to form conclusions. Data-focused backmatter is included, as well as a bibliography, glossary, and index.